I love this! I heard this on an NPR All Songs Considered podcast this morning and can’t stop listening to it. Podcast can be found here. And other corny ways of beginning a post. But this band. I came across this band after a celebrity endorsement. The celebrity in question has proved her weight in gold by recommending me a few albums and bands that have proved to move me and enchant my ears. I feel the need to write on a topic that has increasingly been on my mind. Several people I used to love to listen to on the radio – Lindsay “The Doctor” McDougall and Marieke Hardy are both vegans. When they were hosting the breakfast show on JJJ they used to speak often about their vegan ways, including the fact that Marieke began her vegan journey because of her friendship with Lindsay. I recall them talking of bringing vegan cupcakes into the workplace for one another. I’m sorry – but the thought of anything tasty and sweet and vegan would make me cringe. How can something devoid of dairy or eggs be as wonderful as they raved? Since then I have been overcome with the gorgeous treats of Raw & Peace a wonderful stall at Brisbane’s wonderful Northey Street Organic markets. Every Sunday without fail my brother and my friend S all make sure we don’t miss out on our weekly amazing treat from her stall. She makes our mouth water a night ahead of the Sunday markets – a sample of the wonders we’ve had: Vanilla Slice, Custard Tarts, Black Forest cake cheesecake and yesterday – Choc Caramel Tart! I just had a mouthful left over from yesterday so after my lunch I savoured each small spoonful. Each Sunday the three of us can be found gushing over Ames and trying to decide which treat will be making its way home with us. Or not, as the case may be. Sometimes we just hurl our raw vegan delicious tidbit onto a plate and gobble it up. Since discovering the wonders of vegan sweets I’ve come into contact with a few vegan peeps and I have developed an appreciation for them They have such a zeal for food and adapting common dishes to suit them. I don’t get the feeling that they are missing out – they are so imaginative and are constantly seeking fresh good clean food. Trawling through vegan blogs I find so many ideas I want to try. Now now, it doesn’t mean I permanantly want to put down the t-bone steak and pick up the tofu, but I do have a whole lot of respect for these vegans now and their ways with food. And I admire so much the wonders they do with sweeties. Bring on the raw treats! This article about Marieke’s veganism is fantastic! Over a 24-hour period last weekend I was without my phone. Completely without it. And it was wonderful. Of course it posed numerous issues along with the delight of being without it too. I could see the messages coming through but I had no idea who they were from or what they contained. That was frustrating. I had a few plans with people and I didn’t know if they had contacted me to change things or confirm things or not. I don’t wear a watch so I didn’t know the time if I was out of the house and away from people. Hard when you’re trying to read a bus timetable. I couldn’t check me email on the go (or Instagram for that matter – one app I’m definitely addicted to). I use the online music streaming app Mog and I hated riding the bus without tunes. I did not enjoy having to overhear the conversations going on around me. I didn’t realise how addicted I was to my Iphone until it was worthless. I couldn’t sit down and watch some TV or read a book without having to check it every twenty minutes or more frequently for updates or to google some nonsensical thing as I like to do. So I sincerely loved having no distractions when I was watching a movie. As stated above I didn’t like being without music in my ears on the bus, but as soon as I got off the bus and I was on the walking trail on my way home it was actually really nice to walk through the park-lands without music. I felt connected to the world around me. Yes that sounds dorky but it’s the truth. I liked not feeling disconnected from what was happening around me. I could hear people walking or running up behind me, hear the traffic, hear the birds. Usually I walk as far as I can home, using songs as markers as to how much longer it will be. This way I just enjoyed it. What a way to unwind. Plus I just wasn’t distracted by messages and stupid social media. 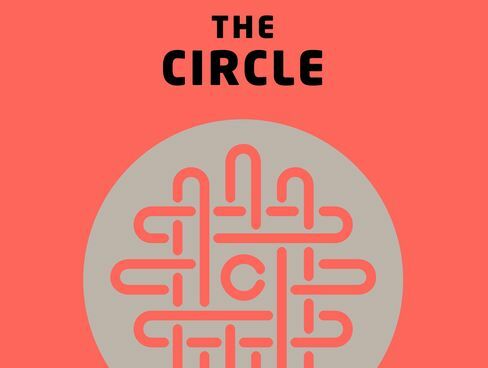 Let’s introduce The Circle by Dave Eggers,this fabulous book that so many ‘famous’ people have been recommending lately. The irony does not go unnoticed that I found out about the book by a certain author’s Instagram feed! What a book! Terrifying and interesting and so damn scary that it really could become like this – does connectivity lead to increased and lessened crime or does it just make things an awful place to live in. Read this and be the judge. It was simply written but fascinating.